I'm Here. I'm Queer. What the Hell do I read? 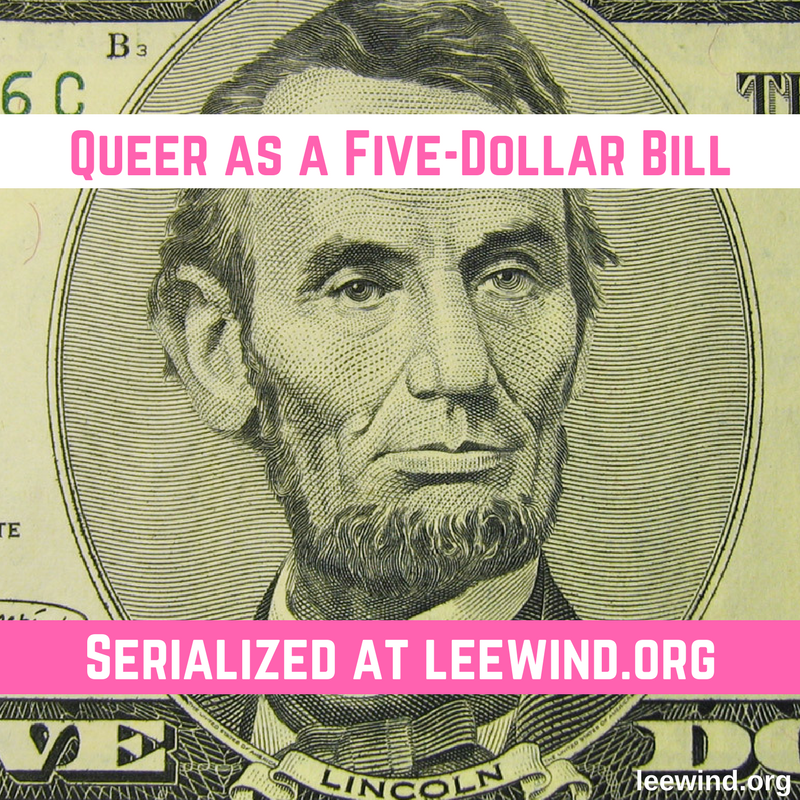 : GSAs in the South of the USA - what's the reality? 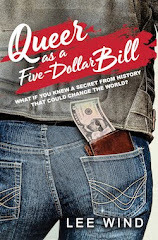 GSAs in the South of the USA - what's the reality? 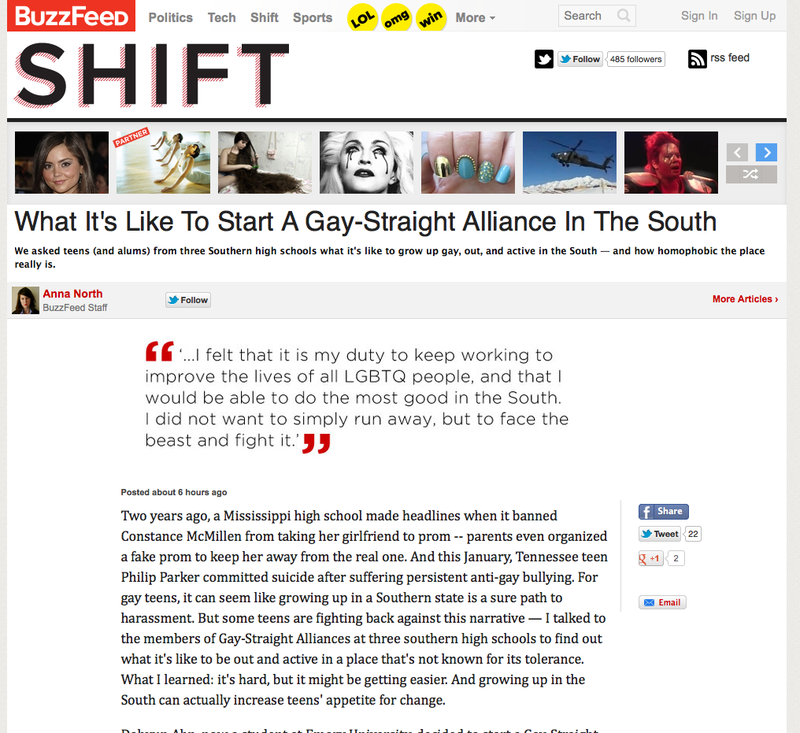 Check out this really interesting article at BuzzFeed by Anna North about teens in the American South who have started Gay-Straight Alliances at their high schools. [T]here are a lot more supportive people here than a northerner would expect to find. Much of the assumption from the North is that the whole of the South is this monolithically oppressive place full of rednecks and hillbillies who shoot gay people on sight. But it's really not that case. There are pockets of very supportive, loving people, allies and other LGBTQ people. And I'm very glad to have found and brought together those people at my high school. 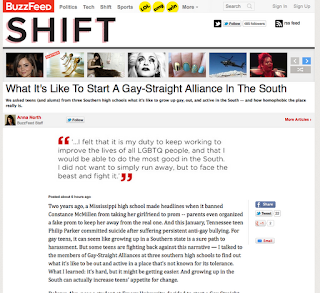 -Dohyun Ahn, who started a Gay-Straight Alliance at Walton High School in Marietta, Georgia in 2009. The South is really awful. It's not really easy anywhere, but it's particularly bad down here because of how thick the religious culture is. Church is expected of you, and if you don't go to church people sneer at you and start to gossip. I knew people in middle school who basically had to be in-the-closet atheists. So when a kid comes out, or at least tries to, the parents and teachers don't even have to tell the kid he's going to hell, because it's like they've trained their kids to say that in their place. It's pretty frightening, the religious conservatism. Obviously, not every Christian down here is evil, and there are a lot of gay Christians. It's just the militant and abusive Christians that make life for gay kids in public schools (no pun intended) hell. -Ryan, a trans member of the GSA at the Alabama School of Fine Arts. I haven't even considered staying in the south long-term. For college I'll be going to a much more open and affirming town in Ohio. Though I've lived in the south my whole life, I don't feel like it's a part of me at all. I don't identify with Southern culture, and don't feel a connection. East Cobb is not my home, it's "the place I live." "if everybody leaves, then there's no one left to be the liberal voice, the pro-LGBT voice." The article's pretty hopeful, noting that the challenges of the climate in the South are actually leading teens to be more dedicated to making a difference. It's an article well worth reading. ps - My thanks to Hayden Thorne for sharing this with me, so I could share it with all of you!